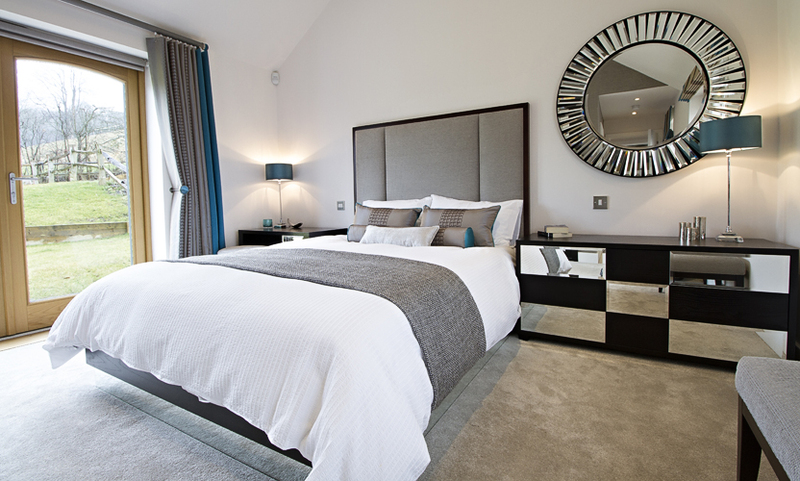 A Complete Interior Design and Project Management of a Master Bedroom for mock barn conversion. 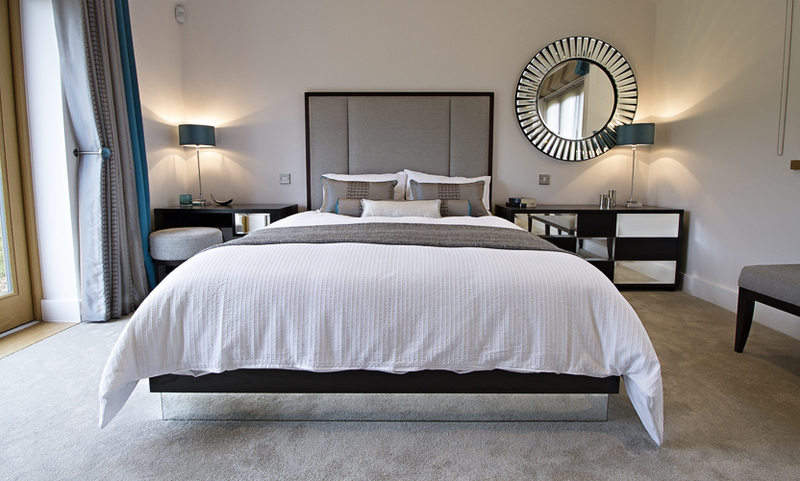 The brief was to create a contemporary master bedroom in a mainly neutral colour scheme, but with a splash of colour. Using a blend of plain and patterned silks worked well to add interest and texture to the soft furnishings. A rich turquoise colour was introduced in slim return panels on curtains & roman blinds, as well as backs and piping on cushions to ensure a subtly discrete splash of colour. 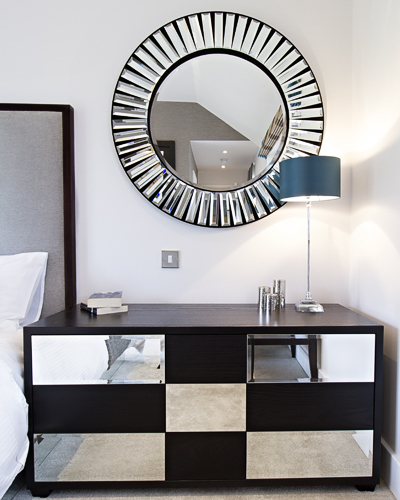 As there were existing pieces of furniture to include in the design, it was imperative that all new pieces were bespoke and designed to perfectly match the existing pieces. 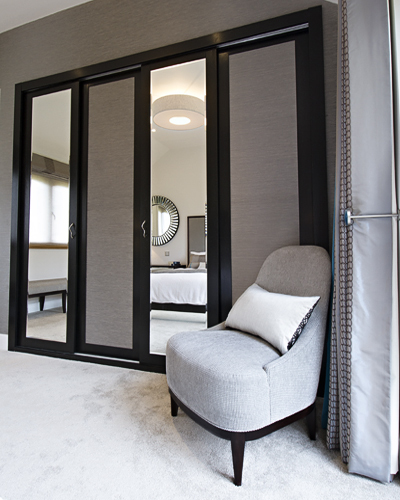 Bespoke built in wardrobes were designed against a feature wall of beautiful silk wallpaper which was incorporated onto the wardrobe door fronts for an extra luxurious finish. Creating a beautifully classic and contemporary master bedroom.